The change of season often brings a shift in real estate market conditions. Inventory tends to decline and buyers may become more aggressive in their home search. This change can affect real estate transactions in a variety of ways. Buyers don't have as many options as during the peak purchasing months. This means more competition because there aren't as many homes to look at in their price points. Buyers need to know what they want. If they absolutely need three bedrooms, then they'll have to ignore that two-bedroom house or risk losing out on better opportunities. They will also need to be prepared to make offers quickly. Buyers without a preapproval will not be considered and will likely miss out on highest and best deadlines by the time they obtain one. On the other hand, sellers will have an easier time selling their home. If in good condition, their home will likely be the cream of the crop during low-inventory months. In a seller's market, buyers will often have to deal with multiple-offer situations. If they don't bring their best offer to the table, they will most likely lose out. Sellers can also prioritize stronger terms. They may decide to go with a lower offer if the buyer can close faster or is putting more money down. A combination of the highest purchase price with a 20 percent down payment and a reliable lender is usually the winner. Of course, you can't forget that cash is king. An all-cash offer will likely trump any others on the table. Negotiations are a game changer. Unfortunately, buyers may lose some negotiating power in a seller's market. 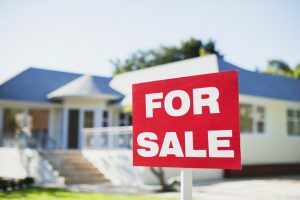 Unless the seller is incredibly motivated to get rid of their property, they may take advantage by refusing to take care of some inspection items. Buyers should be wary of asking for too much, as even big-ticket items may not be taken care of. Unless something is a safety or health hazard, it shouldn't even be brought up. Sellers may also decide to be more selective about what they are leaving with the house. They may decide not to include appliances such as a refrigerator, dishwasher or washer and dryer. Even small things like tone in a negotiation email should be taken into consideration. Alienating the sellers this early in the game can force them to go with a backup offer. Real estate agents are essential. Even though a seller's market clearly tips the scale in one direction, buyers are more likely to lose out if they are not working with an experienced agent. Likewise, sellers may not even be aware of their advantage without the help of a real estate professional. Agents will advocate for their clients—whether they are buyers or sellers—by helping them get as much as possible during sale price and inspection negotiations. Things that may not seem significant—such as getting all of the paperwork submitted correctly, sending emails to the opposing agent and doing due diligence on the property—can make a huge difference in a seller's market.